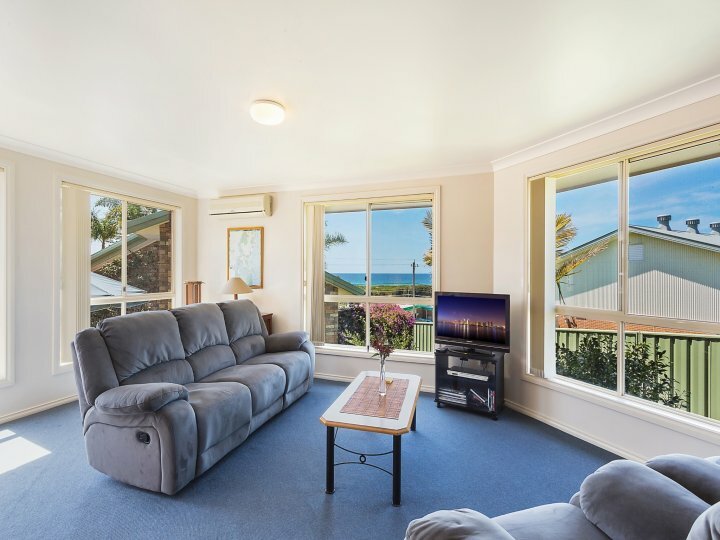 Welcome to Captain's Quarters, multi-award winning self-contained/self-catering holiday accommodation, in Bermagui on the Sapphire Coast, Southern NSW - relax unwind enjoy. Captain's Quarters are a small boutique complex. 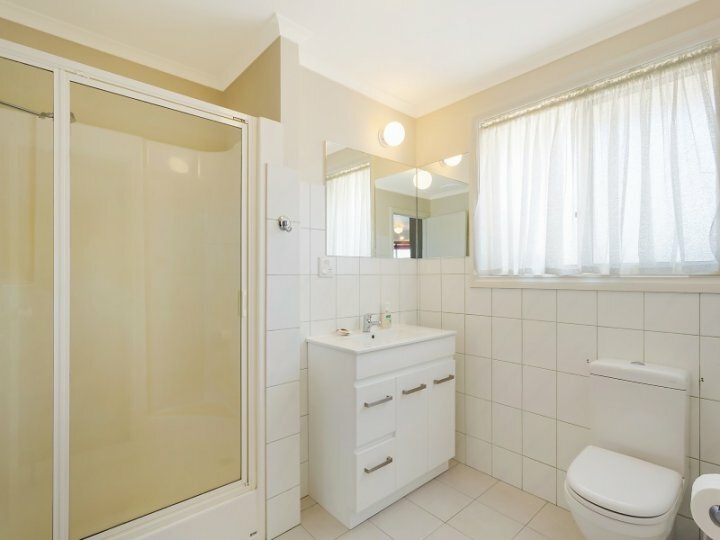 Only three spacious, comfortable and air-conditioned two bedroom single storey townhouses with no common walls. The property offers peace, tranquillity, privacy with elevated views to the beach. 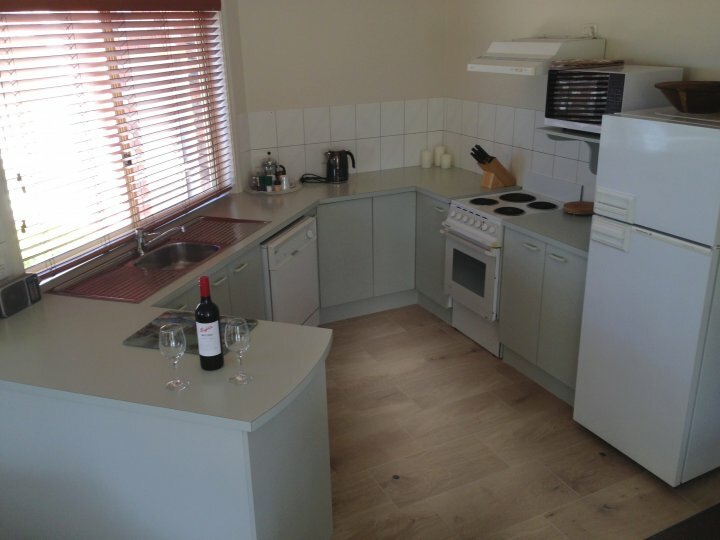 Each townhouse has a lounge, dining room, full size kitchen, bathroom, laundry with own clothes line. 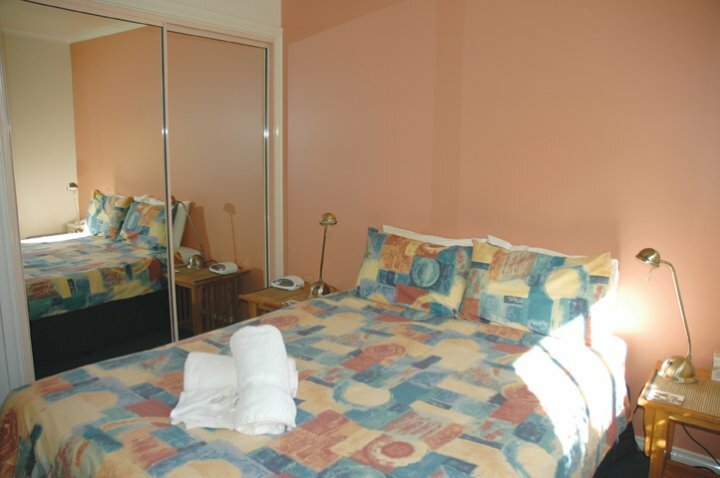 The main bedroom has a queen bed and the second bedroom two single beds. 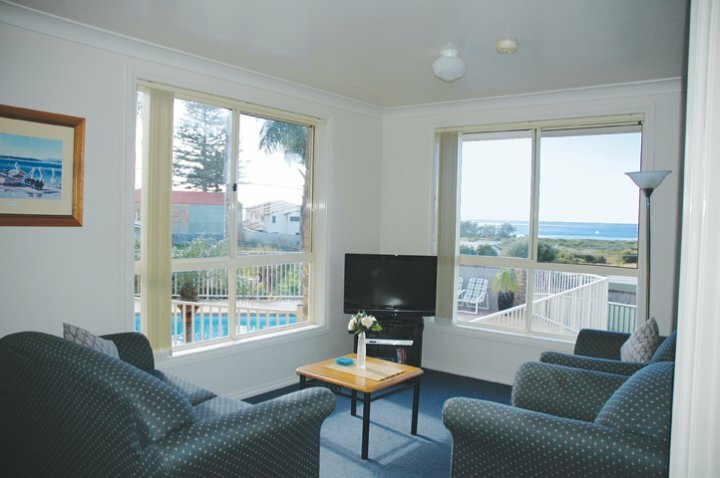 Captain's Quarters salt water swimming pool is heated for your comfort and has spectacular ocean views. 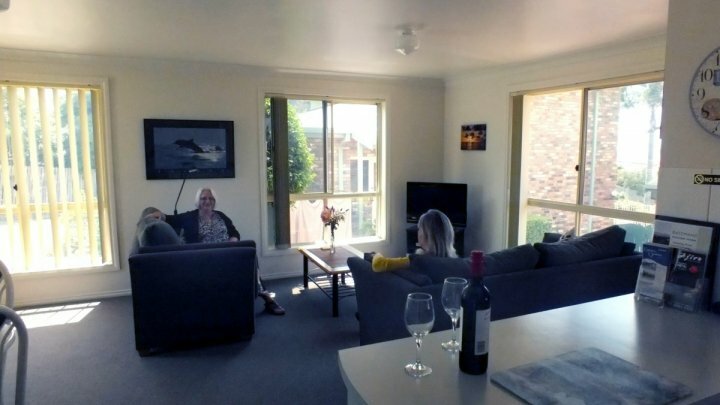 Purchase some of local Bermagui seafood and produce and use our excellent BBQ facilities in your lovely shared courtyard or use your generously equipped kitchen. 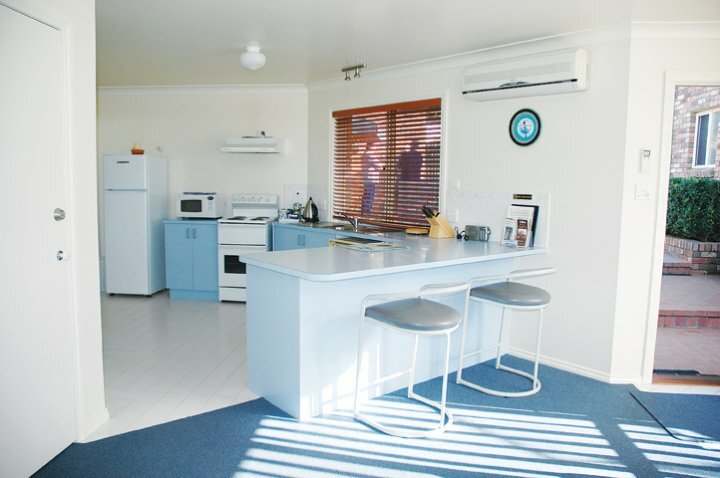 Each townhouse-unit can accommodate 4 guests or book the whole property for groups up to 13 guests. 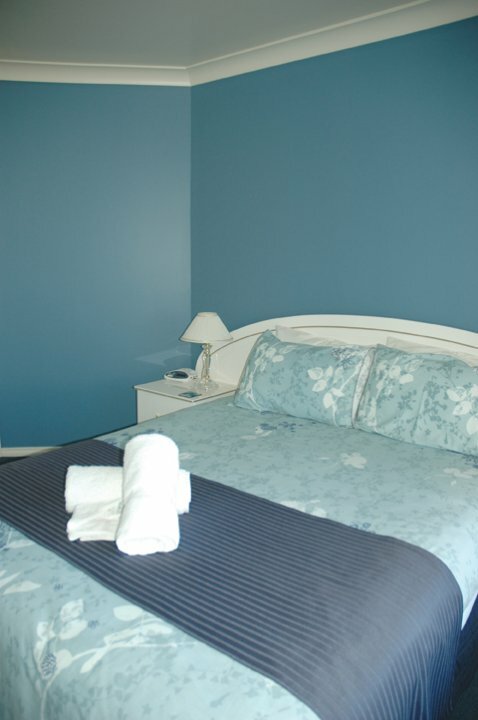 One townhouse can accommodate 5 guests utilising our comfortable fold-out bed. 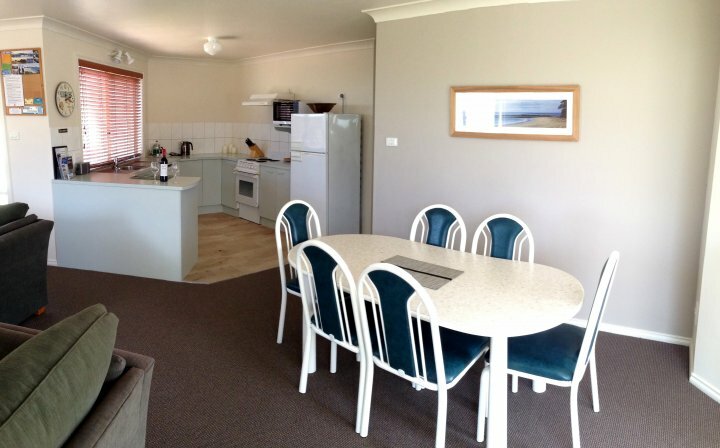 Captain's Quarters is only a three minute walk to Mooreheads Beach and the Bermagui River. The impressive Bermagui Fishermen's Wharf (comprising gift shops, cafés, restaurants and wine bar) and harbour is a short stroll away. For your comfort the entire Captain's Quarters property is NON SMOKING. FREE WiFi. Beautiful Bermagui, only a couple of hours from a capital city a million miles from care. This Secret of the South, enjoys a temperate climate all year round with pleasant summers and mild winters. 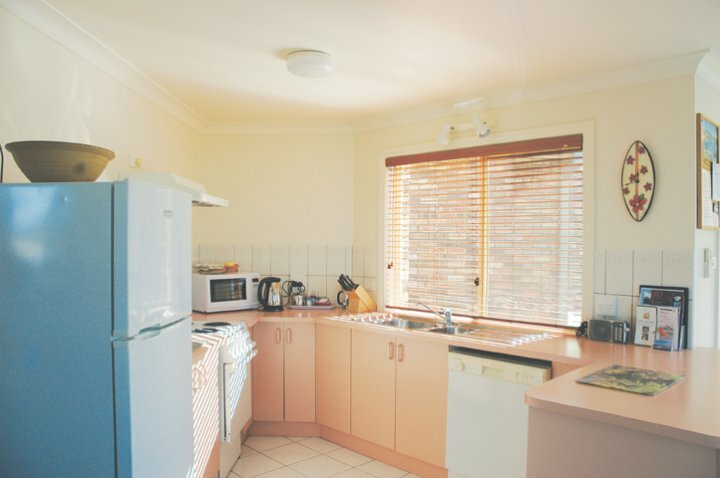 Air-conditioned, modern, spacious, comfortable two bedroom townhouse. 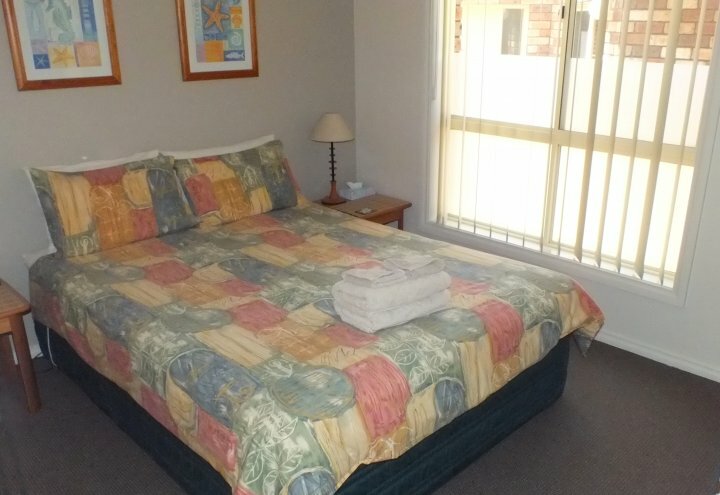 Main bedroom has queen size bed and second bedroom comprises two single beds. Check in from 2pm to 6pm. Please contact Susie on 02 6493 4946 to discuss late check in arrangements. Fold-out bed, cot and high chair available on request. Ample free off street parking is available for guests cars and boats. We have two airports located about 1 hour away Moruya in the north and Merimbula to the south, both serviced by Rex Airlines with hire cars available. - Pristine sandy beaches with perfect surf breaks or sheltered harbours. 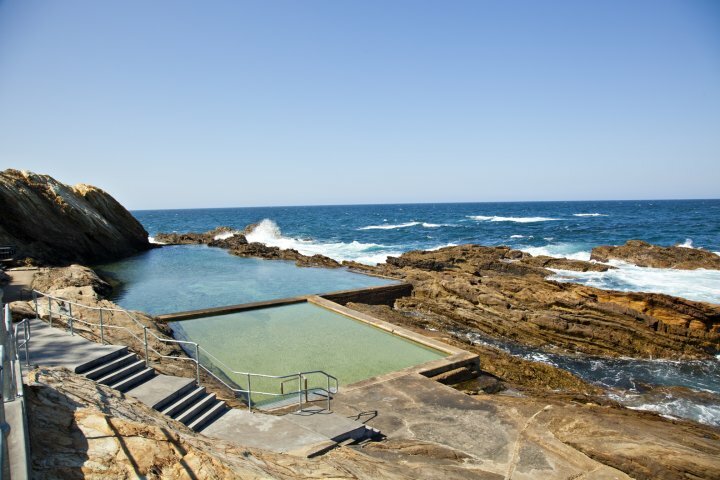 - The famous Blue Pool (ocean rock pool) is a leisurely walk or short drive. 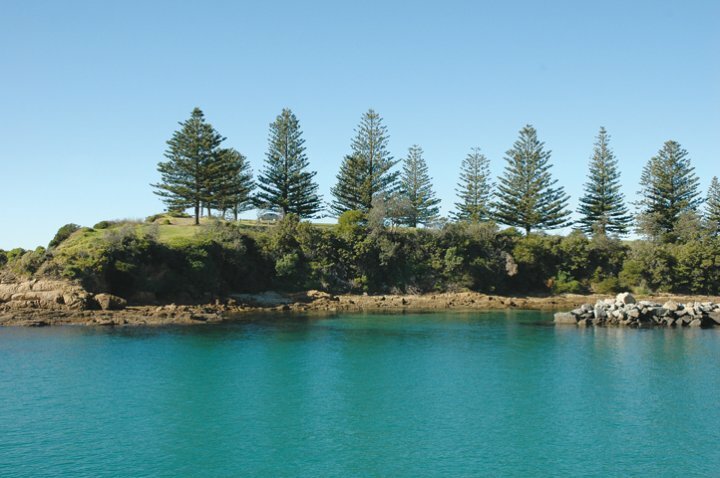 - Bermagui is famous for fishing. Try your hand at rock, beach, estuary fishing or join a charter to experience deep sea fishing. - Experience whale watching (in season) from a charter boat or view directly from your townhouse. - Canoeing/Kayaking - take part in a truly unique experience by either self hiring a canoe or join a tour for a half day adventure. - Stand Up Paddle boarding (SUP) - explore the beautiful Bermagui River by hiring a SUP. 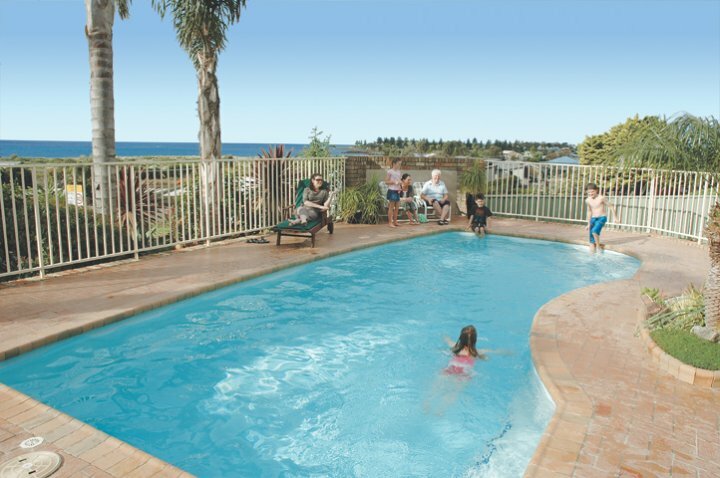 - The Bermagui Country Club, which has a world class 18 hole championship golf course is a short distance from Captain's Quarters (talk to us about our play and stay golf packages). In addition to the golf course the club has many other sporting facilities including tennis courts and lawn bowls. After your sporting activity enjoy The Terrace Café & Restaurant. Speak to us about great golf packages available. 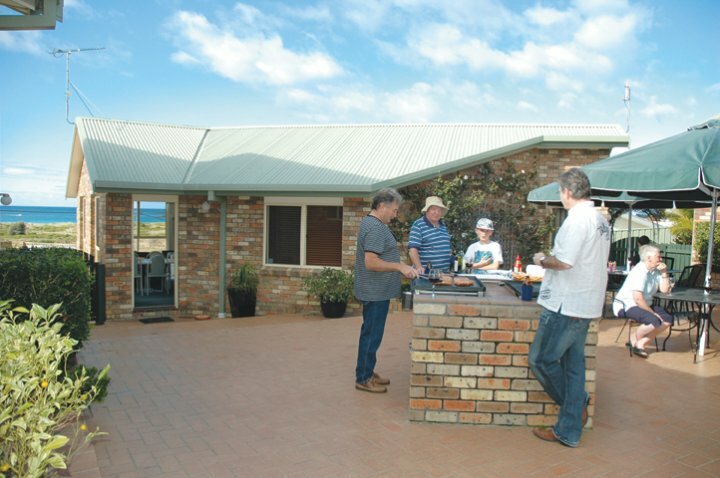 - A visit to the historic towns of Central Tilba, Tilba Tilba and Cobargo are a must. - Visit the Growers Market every Thursday from 3pm - 5pm at the Fishermen's Wharf. 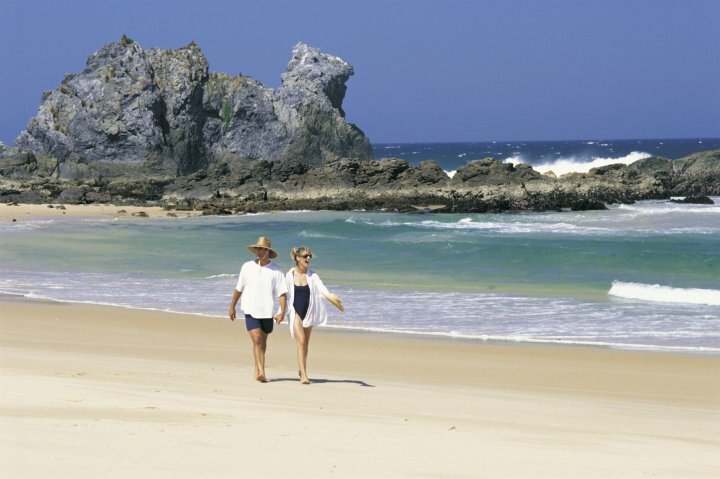 - Bermagui and the region offers numerouse coastal scenic walks or take a day trip to our numerous National Parks including the unique Montague Island. - Visit the Bermagui Markets held the third Sunday of each month at Dickinson Park where you can buy local produce and goodies.